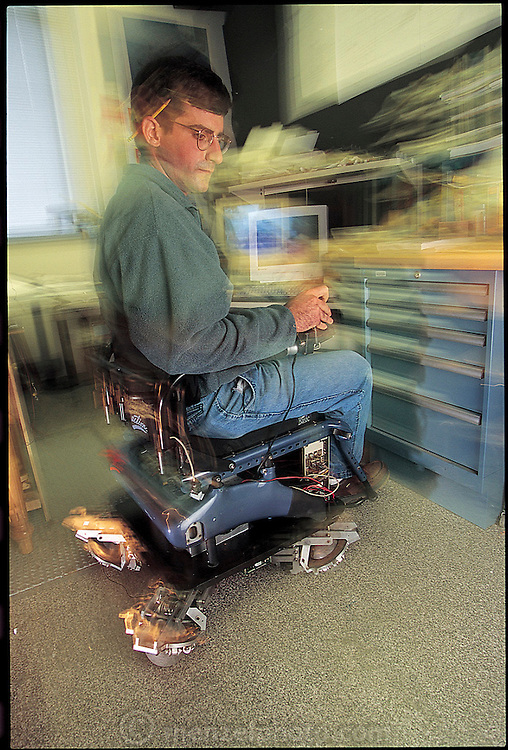 Driving with a joystick, MIT graduate student Joseph Spano takes a spin in the ball-wheelchair he is helping to design. The chair, which uses spheres instead of wheels, automatically compensates for movement, if Spano reaches down, the chair responds by thrusting out its "wheels" to prevent him from toppling over. From the book Robo sapiens: Evolution of a New Species, page 180.